My gratitude and compliments also for hosting this forum all these years. There are few BBSes where I can have as much fun as I do here. Small BBSes like these are dying out, so it feels exclusive to be part of one. But more about future plans. A couple of people have offered to help, but it's still been kept to vague future plans. Doesn't this demand immediate action? Deploying the new BBS and migrating the content (if applicable). I haven't done that before, but I am knowledgeable about GNU/Linux and have some experience with system administration. Things like deploying web applications is a hobby of mine. So I'm not sure if I could figure it all out by myself, but I sure wouldn't mind giving it a try. possibly provide hosting as well, although I'm not sure if it can handle the traffic. I'd have to check. choosing the forum software, if that's on the table. I've seen some shiny projects, like FUDForum. Also, what about redirecting the domain name to the new host? Is anyone still in touch with VitaminZach? Finally, the idea of being without a forum seems a bit scary, even if temporarily. I've created a Discord server so people can stay in touch in the meantime. I know there's an IRC channel, but while there's no forum, something with more features like multiple channels, offline messages, etc. might be more convenient. You know, the German Keen community (Commander Keen Fan Site Celle) still has a forum. There's not much action over there, but it's better than nothing I guess. Indeed, many thanks to Andy for hosting us all these years. I believe a plan is made that should minimize disruption. We will survive! 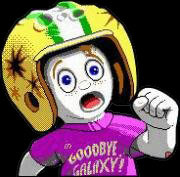 K1n9_Duk3 wrote: You know, the German Keen community (Commander Keen Fan Site Celle) still has a forum. There's not much action over there, but it's better than nothing I guess. Let us swarm over there and convert it to English. Fleexy wrote: I believe a plan is made that should minimize disruption. We will survive! I am your new host. The handover of both sites will occur on December 28 at 18:00 UTC. [Edited to correct typo'd time.] Posts made slightly after that time may or may not be included when the database is exported and moved to the new server. The DNS for keenmodding.org will be adjusted during the handover, but make sure to clear your DNS cache then so you get the new place. You'll know things are completely moved when you see an announcement posted from me or Andy. pckf.com is a little more challenging. We've reached out to VitaminZach about DNS adjustment, but I don't know which e-mail he checks. If we don't hear from him soon, I'll post another URL at which the new PCKF will be available until we get the domain figured out. You'll know you're in the right place and ready to go when there's an announcement posted. If the database transfer all goes well, we might run the upgrade to phpBB 3. In the upgrade, I'm pretty sure PCKF will lose its cool visual styling, but hopefully a similar phpBB 3 skin can be put together. Last edited by Fleexy on Sat Dec 24, 2016 19:48, edited 1 time in total. Excellent. Here's hoping it's all clean and easy for you! And well done everyone for pulling together - it looks like we'll have very little downtime. Thanks so much Fleexy as well as Adurdin as well as anyone else at all involved. I can definitely send a little bit of financial assistance your way if that would help you get started hosting! Much obliged, Fleexy! Well done, all. Benvolio wrote: Thanks so much Fleexy as well as Adurdin as well as anyone else at all involved. EDIT: What about an anonymized donation thingy to split the costs? Thanks so much for this, Fleexy. You're the hero we all need. Big up, Fleexy, thanks for your initiative! Andy, thank you for your years of service and not only providing the community with a place to grow, but with founding our modding scene which in many ways was our lifeblood. candyjack wrote: There are few BBSes where I can have as much fun as I do here. Small BBSes like these are dying out, so it feels exclusive to be part of one. Anyway, looks like the forum will be in good hands and face practically no downtime. Thanks Fleexy, and good luck. See you all on the flip side! Let's keep the community alive and produce mods and levels and cool tools and all that. Thanks for keeping this place going for all these years, Andrew! :) You're truly one of the pillars of the community, in one form or another. Looking forward to whatever future the Keen Community has.